I mean really, really slept. It was heavenly. When my eyes finally opened at 10:00 a.m., the house was quiet. 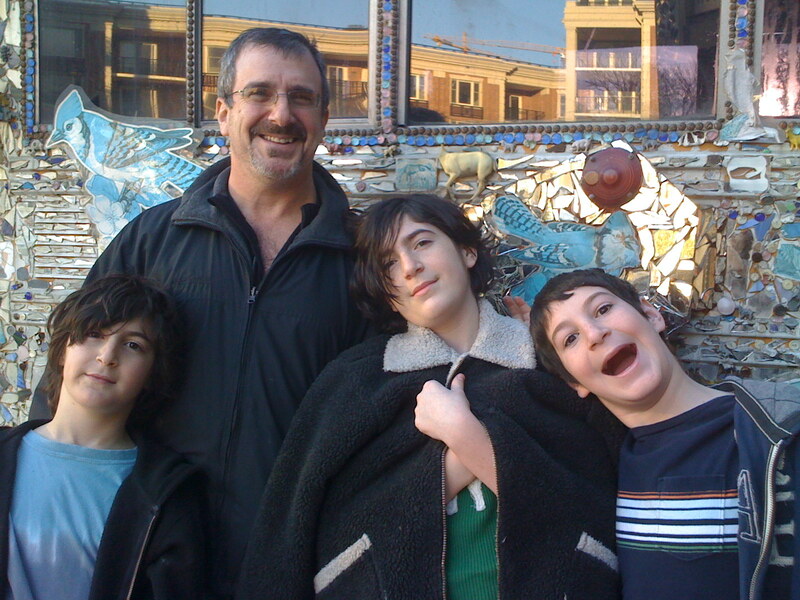 I knew that Andrew had taken the boys to religious school and that he was somewhere in the house. I reached over, picked up the phone and called the other line. “Ready for coffee?” he asked. Once I read the paper, it was time to start making pasta again. We’d made some last night, but need to make a better dough before making some for our Thanksgiving dinner. So I mixed and rolled. And the spaghetti came out pretty well. Still, I need more practice. Fortunately, having more homemade pasta is not a bad thing. 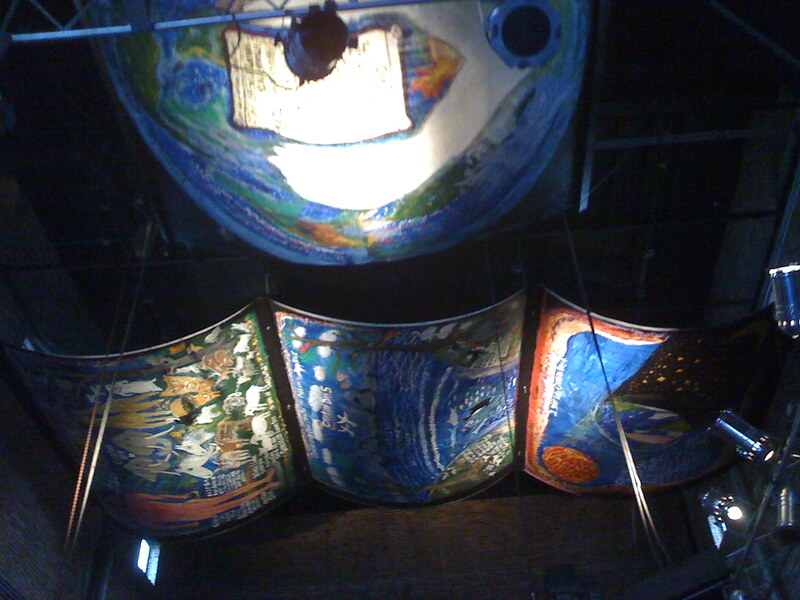 After the boys got home, it was time to hang up the apron and head out the the Visionary Arts Museum. No photos inside, or I’d have filled this post with pix that’d amaze you. But you’re going to have to go see for yourself. Suffice it to say, the art is inspiring. The stories beyond believability. The boys hadn’t wanted to go. But each found inspiration and something he’d have been sad to have missed. And I got to see a film about painted window screens and a bigger than life paper-mache/sculpture of Divine (seriously double life size & rotating!). In front of a mirrored mosaic bus. 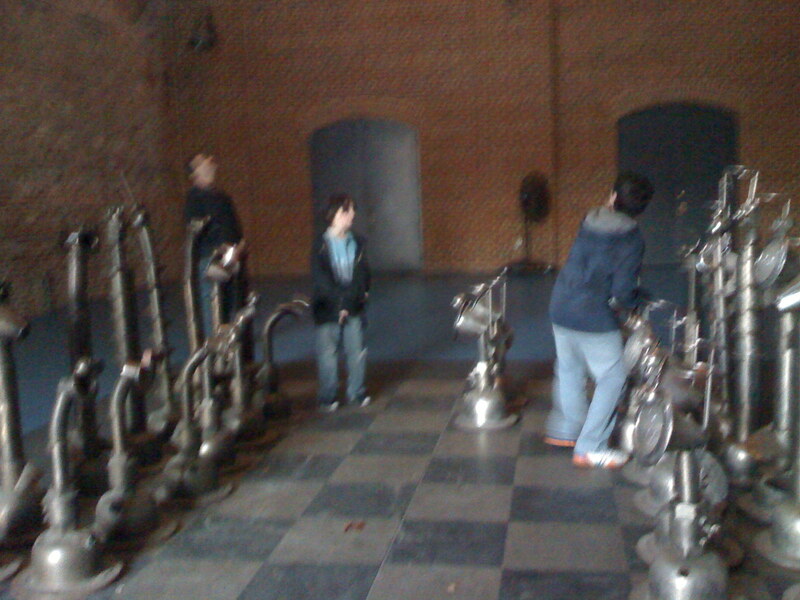 Life-sized chess board made from weird metal parts! 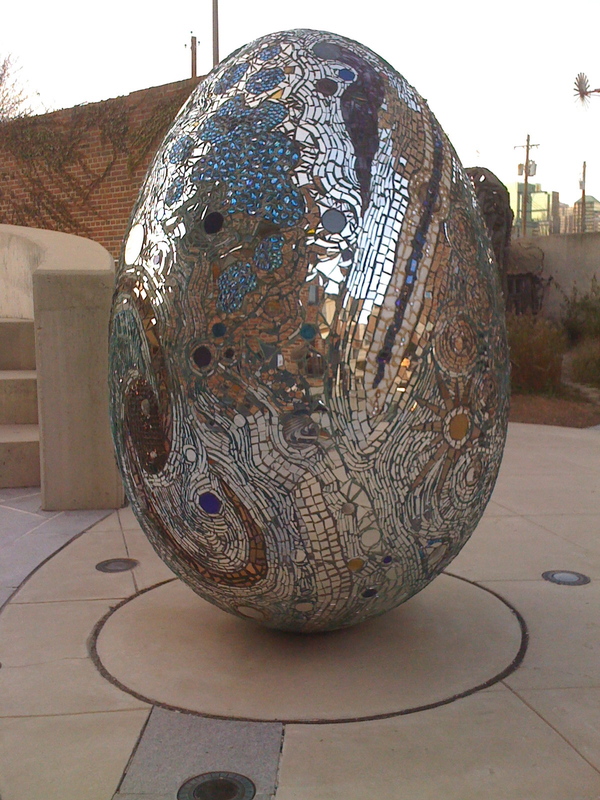 Mosaic egg. It’s huge! Our 10 year old asked, “Is that supposed to be a Faberge Egg?” He knows what that is? Crazy, man! 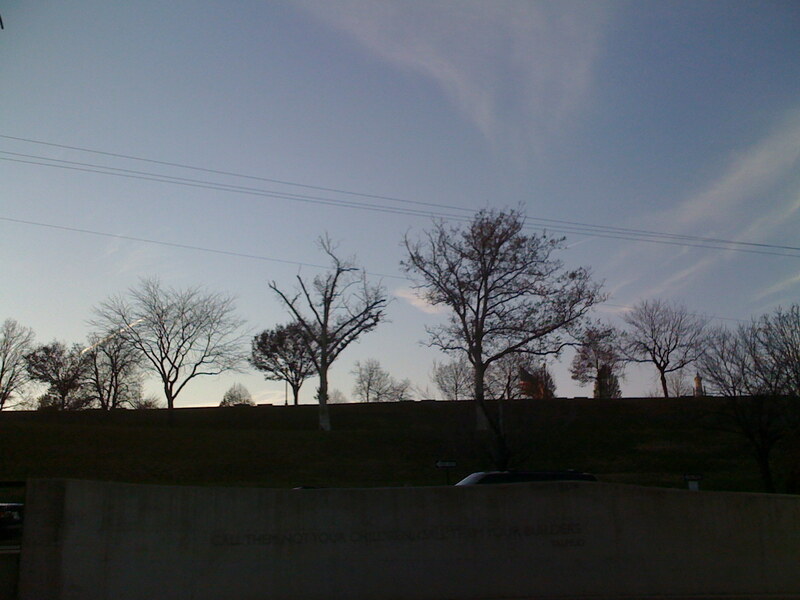 View of Federal Hill from the museum. < What we saw today and the conversation that ensued…. One of my fav museums, as you know. The gift shop rocks and the mosaic door on the second floor? Entry to a house in Madison, WI, friend of Linda….went to the opening. Amazing stuff. If you get tired of eating your practice pasta, I would be happy to help you out! Great pics and that egg! I want! Liz – I agree – it’s a wonderful place! Elizabeth – I’ll keep that in mind. I expect I won’t get tired of it anytime soon, though! DJ – the egg is amazing! We’ve been there a few times with the boys. Love it! Did you go up to the other building? did you know you can rent it out? There was a cool video montage of Columbia and Rouse. My mother-in-law was on the film! Kind of cool. Never heard of that museum…how lame am I? I will have to take the kiddos and go check it out!